CBSE board is the most preferred educational board in India. A large number of schools are affiliated to CBSE board all over India and abroad. Ever year, about 26 lakh students appear for the CBSE board Exams. Previous year trend shows that a maximum number of students qualified for competitive examinations like JEE, AIPMT etc, are mostly from CBSE board. CBSE syllabus is frequently updated by CBSE board and is released every year with the beginning of the new academic session. CBSE Section of jagranjosh.com provides in-depth analysis of CBSE syllabus so that students can easily understand the changes in latest CBSE syllabus. 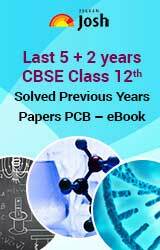 This section also provides latest CBSE study material for the 9th, 10th, 11th and 12th classes. CBSE exams for class 10th and class 12th are conducted by CBSE board every year in the month of March. CBSE results for class 10th and class 12th are generally declared in the month of August. In order to perform well in CBSE board examinations, it is important for the students to select correct and reliable study material. In cbse section of jagranjosh.com, all the required content have been catered as per the need of cbse students. 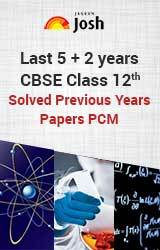 We have also provided previous years’ solved CBSE question papers and latest CBSE sample papers. Plenty of CBSE practice papers and guess papers are also available in this section with which students can enhance their preparation level. 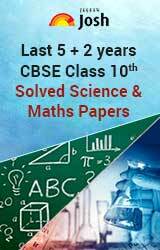 Apart from this we also provide latest CBSE News and updates about CBSE timetable/ date sheet and CBSE Result.